“Seeing him out there doing individual drills was good for my blood pressure,” Harbaugh said. When he does return, the Ravens will rely heavily on Yanda to anchor the offensive line after he missed the final 14 games last season with a fractured ankle. He also sat out the early part of training camp following shoulder surgery. Yanda, 33, has played in 146 games, including 135 starts, which ranks as the second-most games played among offensive linemen in Ravens history behind Hall-of-Famer Jonathan Ogden (177). Yanda was named the league’s top offensive lineman in the league in 2016 by Pro Football Focus when he didn’t allow a sack or quarterback hit that entire season. 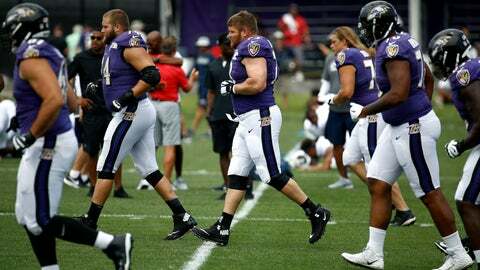 Despite the recent spate of injuries, Yanda is confident he can still make a big impact with the team.